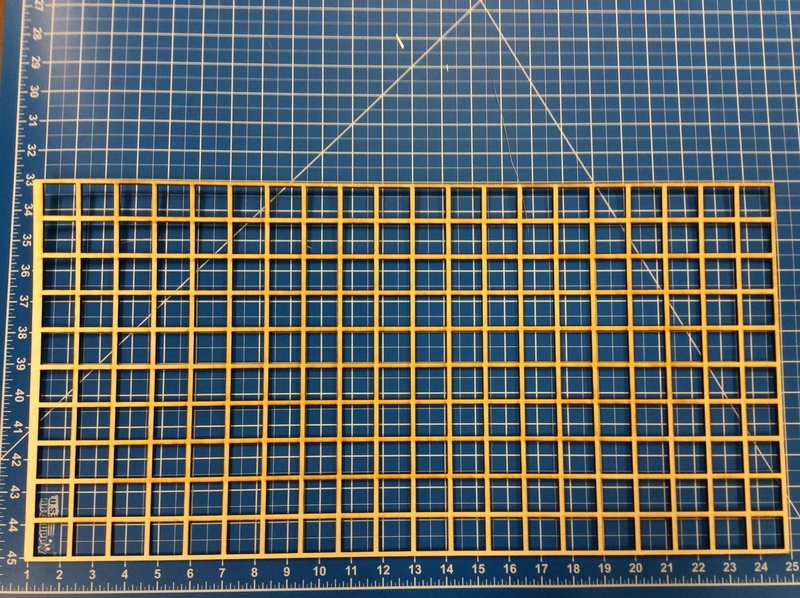 One of the aspects of this project is to cut out 900 different 1 inch x 1 inch squares out of a neoprene sheet. The centers of these squares have to be spaced apart by exactly 3.333 cm vertically and horizontally from each other. Now, we could go about drawing out each of these squares on the neoprene itself with a sharpie and then cut them out afterwards with an X-acto knife — but this would’ve been time intensive as well as error-prone. 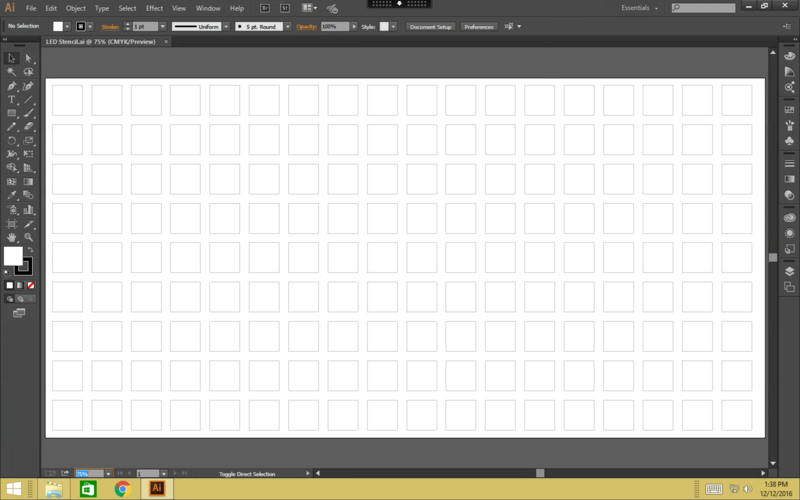 Thus, we decided to use Adobe Illustrator to generate a stencil that was correctly spaced out. By using the data sheet provided by the manufacturer of the LED strips, we used the values they specified to generate the stencil. After having designed the stencil in Illustrator, we used a laser cutter to cut out the stencil out of plywood. Plywood was used because it was cheap and durable enough to keep its shape when we cut out the neoprene squares. 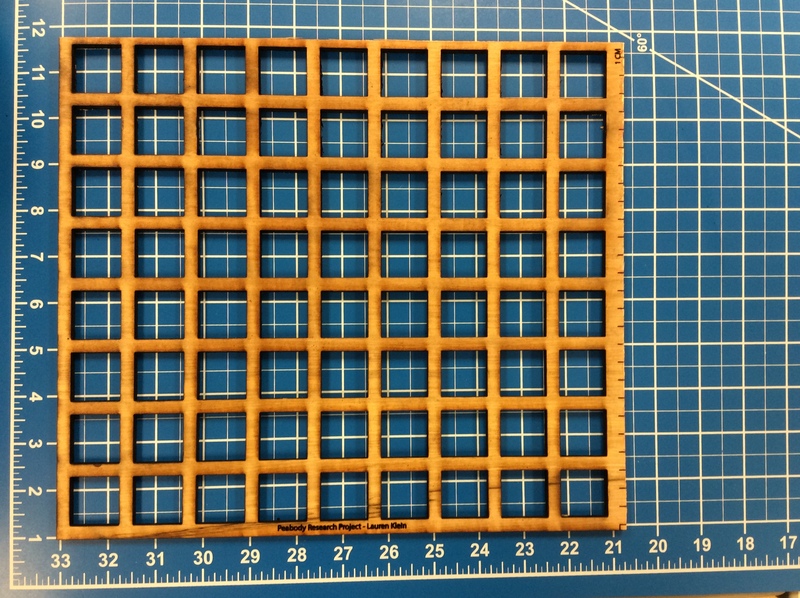 Our first prototype of the stencil turned out to be off by 0.333 cm between each square and led to the accumulation of an offset error between the LEDs. This error could not have been picked up by simply drawing on the neoprene — which could have led to wasted time and materials. Because we could easily fix this offset error in Illustrator, we had another stencil printed out within a couple of hours and didn’t lose any neoprene in the process. For our final cutout stencil, we also used a thicker sheet of plywood to ensure the rigidity of our stencil as we cut the squares out of the neoprene.